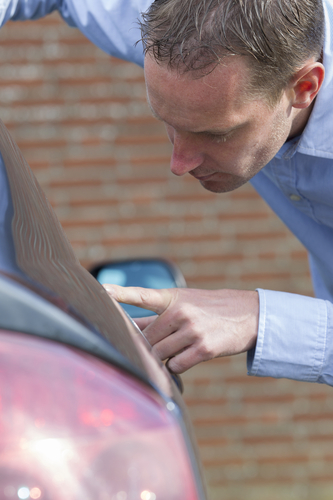 When it comes to auto body repair, it pays to know your options. Paintless dent removal, for example, is ideal for less severe dents like door dings and hail damage. Here, ABRA Auto, an industry leading automotive specialist, explains three benefits of this type of auto body repair. Paintless dent removal has a variety of benefits over traditional auto body repair. First, it doesn’t involve any sanding, filling, or painting, so it preserves the original look of your vehicle. That also means that ABRA’s technicians can complete most PDR repairs in under an hour. Lastly, PDR half of more intensive work, making it a more affordable repair alternative. Visit Your Local ABRA Auto for Expert Dent Removal! Not all dents can be repaired using PDR, so visit your nearest auto body shop. There, one of their certified technicians will assess the damage on your vehicle and determine the most appropriate type of repair. Schedule your appointment today!